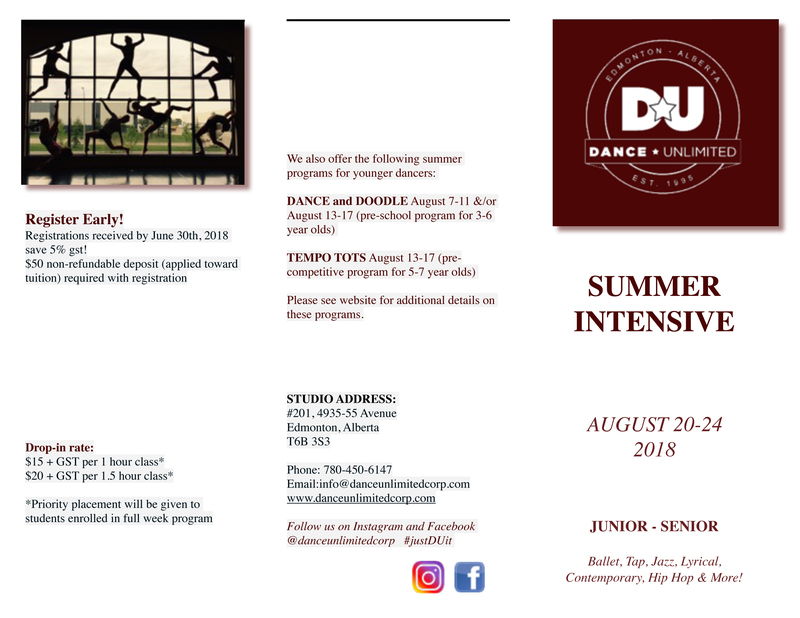 2019 Summer Schools and Intensives – COMING SOON! Please refer below for reference from our 2018 summer brochure information. 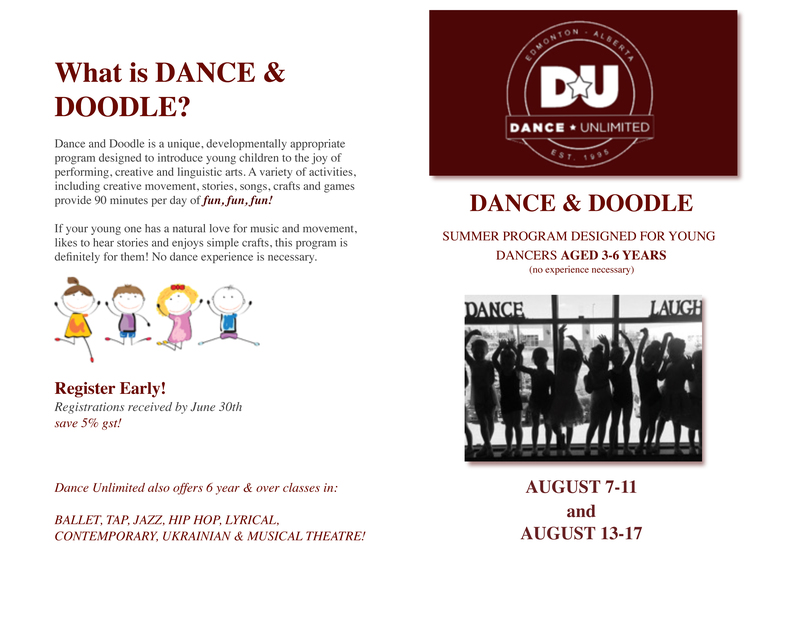 Dance & Doodle is our summer program for young dancers aged 3-6 years of age. No experience is necessary. 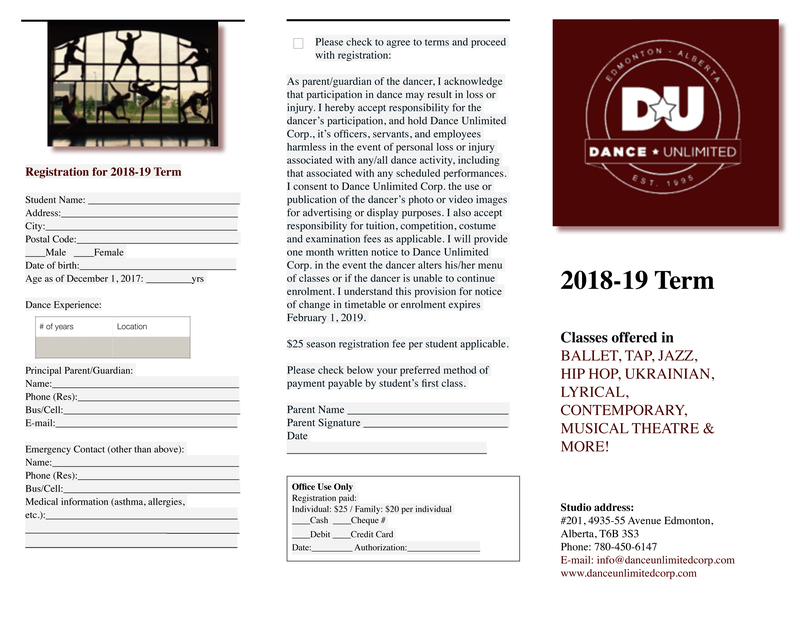 Dance and Doodle is a unique, developmentally appropriate program designed to introduce young children to the joyful art of dance. A variety of activities including stories, songs, movement, games and crafts, provides 90 minutes per day of fun fun fun! If your young one has a natural love for music and movement, likes to hear stories and enjoys simple crafts this program is definitely for them! Each day features a different theme ranging from “Once Upon A Time” to “Dinosaurs”. Simple daily craft projects are provided for the children. All craft materials are supplied and cost is included in tuition. Dance slippers or clean soft soled shoes are recommended. Girls must wear long hair tied back in ponytails or a bun. Shorter hair can be held in place with barrettes or clips. 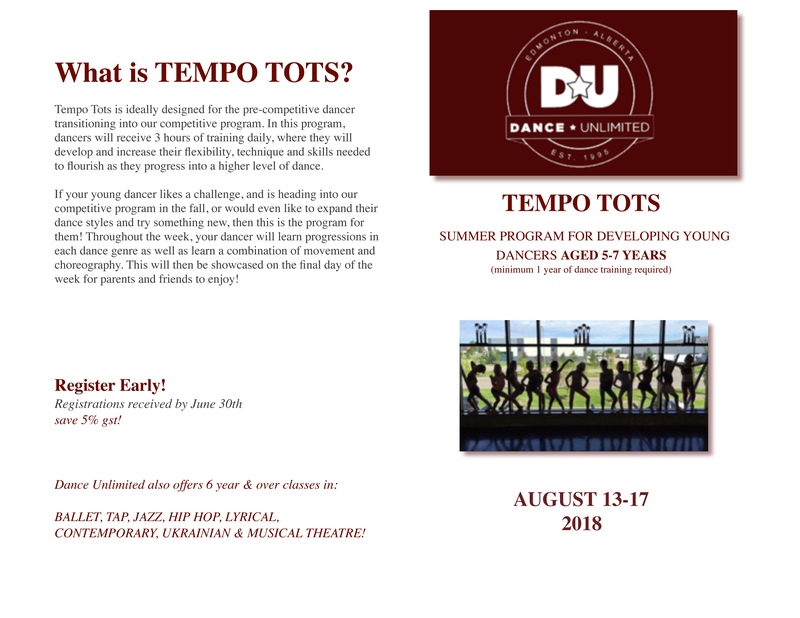 Tempo Tots is our summer program for developing dancers aged approximately 6-7 years of age, who have minimum 1 year previous experience. Dancers will receive 3 hours of instruction in Ballet, Jazz, Tap and Hip Hop daily (10:00 am -1:30 pm including lunch break 12:00 – 12:30 pm). Please pack a nutritious meal for your child.